Awards season has officially kicked off now, with yesterday's Gotham Awards winners and today's Independent Spirit Nominations being announced. For those wondering if I'm going to unveil the new 'Happy Fassy', 'Lowkey Loki' and 'Overwhelmed Owen' for this year, you'll have to wait until the Golden Globes nominations roll around next month. For now, this is just a forecast to see how awards season could swing. Because, after all, awards season is a season of the year. Who knows if we'll have a storm on our hands or we can blitz through it with only sunshine? -Quvenzhane Wallis missed out for Beasts of the Southern Wild - which begs the question, will this be the indie hit in awards season still? Or will her place go to another older actress? -This Middle of Nowhere seemed to be quite a hit. Could be a dark horse. -Bernie is getting a whole lot of loving, too. I doubt it could carry on into the heart of awards season, but it seems that we should be a whole lot more aware of it. -And I've gotta say, since when was Melanie Lynskey a breakthrough actor? She had her breakthrough before I was born. Still, I'm happy to see her getting some recognition. What kind of forecast this brings for awards season: Quite an interesting one, I must say. -YAY for Matthew McConaughey's double nod. I saw Magic Mike last night and I can totally see him getting an Oscar nomination. However, I'm extra happy that his work in Killer Joe got recognised. I wasn't sure if it was eligible, since it technically first surfaced in 2011, but if it is, I'm starting a campaign. It is kinda funny, because I never used to like McConaughey, but now he has given my two favourite male performances of the year. You go, Glen Coco. 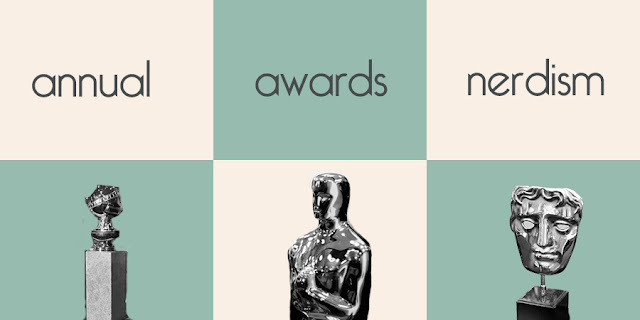 -So basically, Silver Linings Playbook will sweep these awards. Just like it might sweep the Oscars. Interesting Robert De Niro snub, as I thought he had a better chance of getting a nomination than Bradley Cooper. Jennifer Lawrence will probably end up winning her category, though. -Looks as if Ann Dowd got the push she needed for a Compliance nomination. I wouldn't take your chips down just yet - as I said, we could have a Jacki Weaver nomination this year. -I'm happy for Mary Elizabeth Winstead, even though I haven't seen Smashed. This could give her a big push, but there's not a lot of air in that Best Actress race. -Yay for Zoe Kazan, too. I haven't seen Ruby Sparks, but I adore her. -Beasts of the Southern Wild is prominently featured. I do think it will get the indie nomination in the Best Picture category. -There's no Marion Cotillard for Rust and Bone, which could really hurt her chances. -I was hoping that these awards would picks up The Perks of Being a Wallflower a lot more and maybe send a nomination in the way of Logan Lerman and Ezra Miller. Alas, it only got 'Best First Feature', which seems like a bit of a consolation prize more than anything. These two awards give us the outlook on how some of the smaller films will fare for the rest of awards season. The future is looking mostly bright for films like Beasts of the Southern Wild and Silver Linings Playbook, and Matthew McConaughey is coming into this race a lot stronger than we once thought he would. What do you think will happen to the awards race now? I was very surprised how much I enjoyed Your Sister's Sister, it gave me the kind of The Kids Are All Right and Sideways vibe but also refreshing at the same time. Not an award movie though.. Moonrise Kingdom is one for sure, haven't seen Silver Linings yet and I don't really like Cooper but I'd be rooting for Lawrence for sure. I really want to see Your Sister's Sister. Hopefully it comes out on DVD soon. I love Cooper, haha. I think it is great that he's getting this kind of recognition. Lawrence will probably steal his thunder, though. The Gotham Awards usually don't have much of an effect on the Oscars. On the other hand, McConaughey, Cooper, and Wallis were helped a lot by their Spirit Award nominations. If Cooper and McConaughey are going to get Oscar nods, they need every precursor nomination they can get. Wallis does too, but I don't see Beasts being nominated for Best Picture. I think Wallis might be the film's only nomination, unless it gets a screenplay nod. They were. I hope that McConaughey gets a whole lot of precursor nods, because he really does deserve it. With the exception of a Les Mis/Argo take-over, the supporting actor category is weak again this year, so I hope that he can slip in for Magic Mike. He definitely won't be nominated for Killer Joe, though. Okay must watch Bernie and Killer Joe. Happy for all the Moonrise Kingdom, Your Sister's Sister and Safety Not Guaranteed love. Man Wallis really needs all the awards. I must watch Bernie. 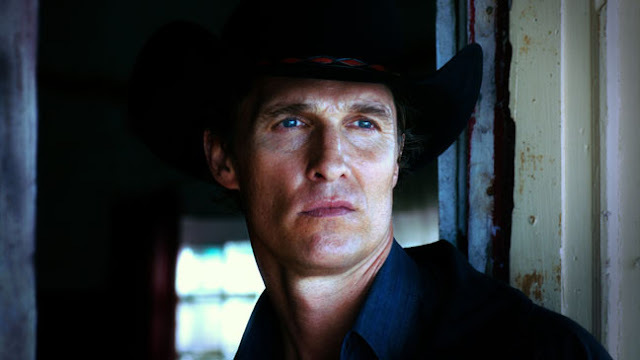 You must watch Killer Joe. Hope you don't like KFC chicken. Interesting nominations, I wasn't expecting any love for Killer Joe. I am very curious to see Perks of being a wallflower and Silver Linings, although I am already starting to "hate" the second because it is getting huge awards buzz. Time will tell!